, graph the composite function, and then determine its domain. 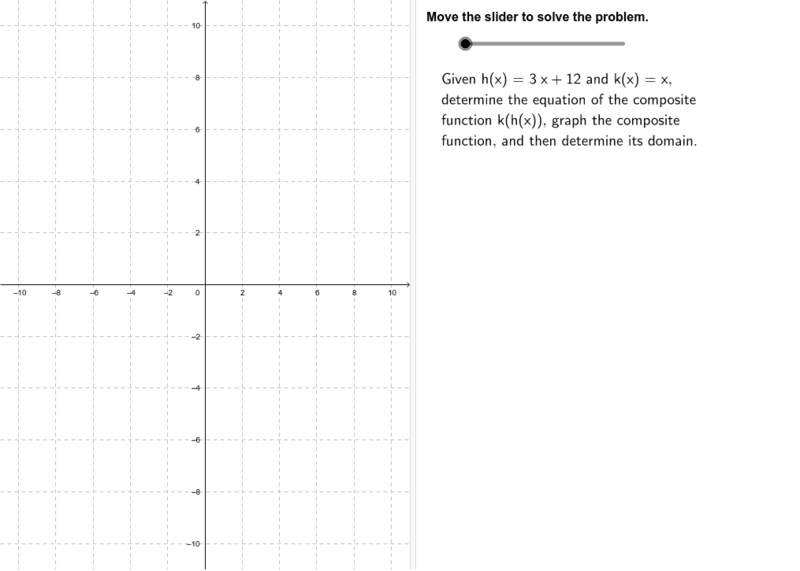 Graph the composite function by hand or using a graphing calculator. Determine the domain of the composite function. This applet is provided by Walch Education as supplemental material for the CCGPS Advanced Algebra program. Visit www.walch.com for more information on our resources.